For a friend’s barbecue on a cool Los Angeles evening, I brought ingredients for almond milk hot chocolate for us to sip by the fire pit. I make my chocolate milk with dark chocolate, cocoa powder, and almond milk. Preparing it couldn’t be easier: I add pieces of a chocolate bar (70%), unsweetened cocoa powder, and a dash of salt to unsweetened almond milk in a saucepan, then stir occasionally with a whisk on medium heat until blended and hot (but not boiling). Measurements? 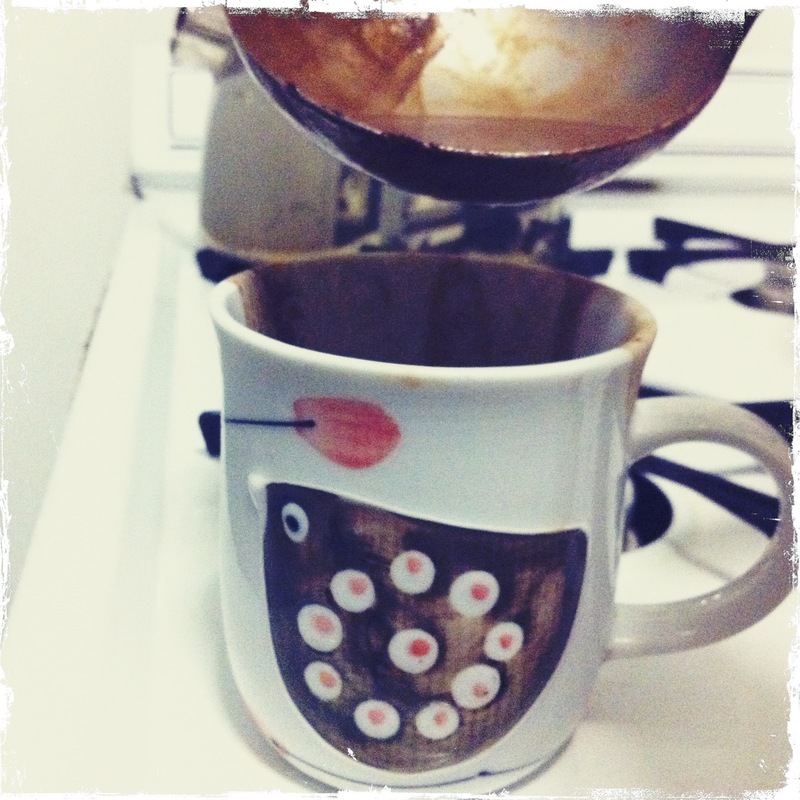 I usually make one or two cups at a time and use 1 tablespoon of cocoa powder and a few pieces of chocolate. Honey, agave nectar, or sugar can be added for sweetness. Our friends Kristine and Dan had marshmallows for toasting by the fire and a few of us added one (or two) to our hot chocolate milk mugs. Yum.